Canon's new G1 X is its biggest, baddest PowerShot ever. That's saying a lot in and of itself. But will the camera's bigger sensor and zippy new processor distinguish it from the crowd? 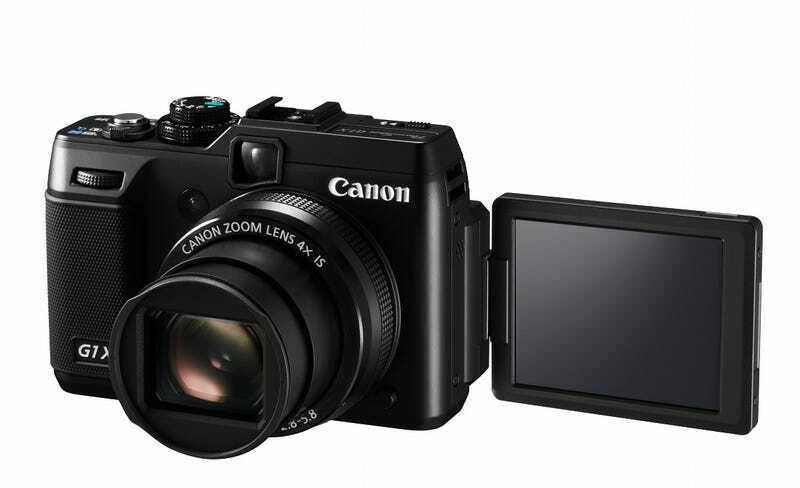 First, the camera's specs: The Canon PowerShot G1 X has a a 18.7mm x 14mm, 14.3-megapixel CMOS sensor. The camera also carries Canon's speedy new Digic 5 image processor, which improves the camera's high-ISO performance and low-light performance, as well as its automatic white balance. The built-in lens has a 4X Optical Zoom, and an aperture range of f/2.8 to f/16. As you'd expect, the Canon PowerShot G1 X shoots 1080P video. It will be available in February for $800. The PowerShot G1 X is much bigger in almost every way than its PowerShot predecessors: It's physically larger than the PowerShot G12 and its sensor blows the G12's 1/1.7" sensor out of the water. (Canon will continue offering the G12 at least through mid-year, by the way.) BUT, the camera still lags behind some of its competitors—both mirrorless and viewfinder cameras—that carry larger APS-C sensors. Consider the recent Sony NEX-C3 and NEX-5 mirrorless cameras, which both sport an APS-C sensor. Canon's newest creation isn't a mirrorless camera, and while its sensor is larger than a 17.3mm x 13mm micro four thirds sensor, it might not make up for the G1 X's lack of flexibility. If you want a truly interchangeable lens camera from Canon these days, you've got to go with its now aging—if still excellent—batch of DSLRs.